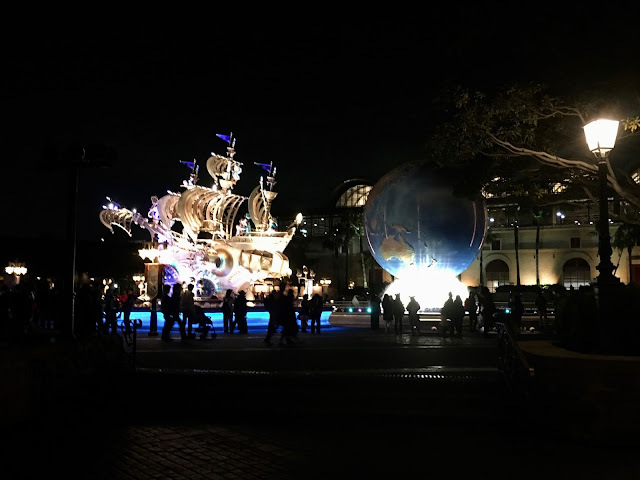 I am so unbelievably excited to finally be able to share our photos from our two day adventure of Tokyo's DisneySea and Disneyland! This was one of the huge reasons why I started becoming interested in traveling to Japan - as silly as it may sound. 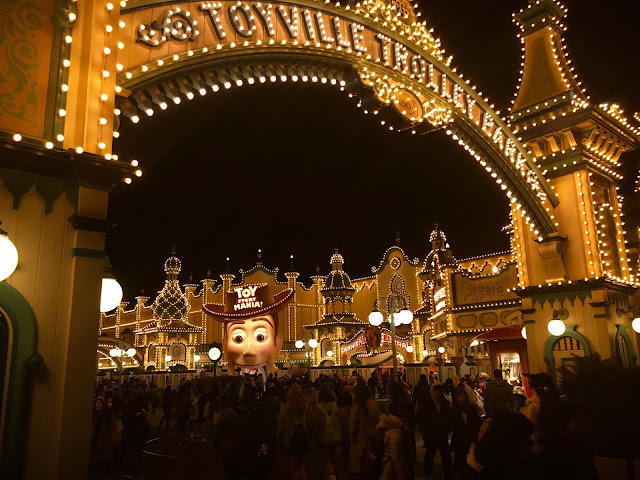 My husband mentioned it to me one day, and feeling the excitement of the possibility of finally visiting a Disneyland, I started looking into Japan and everything else that it had to offer. So I guess you could say that this was the turning point for me, the gateway into discovering my love for this awesome country. 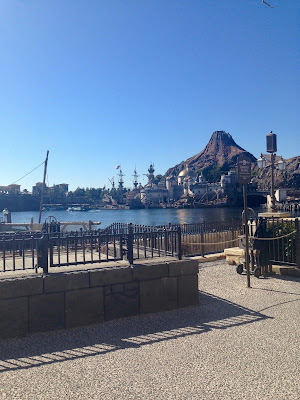 DisneySea is unique to Tokyo, and it is a park with a heavy nautical theme. 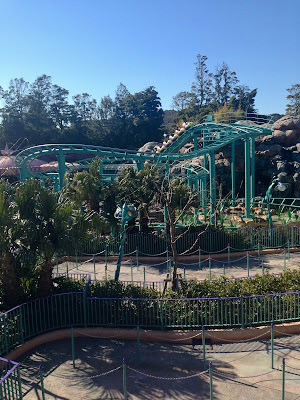 This park includes rides on Steamer Lines and Gondolas and is made up of seven themes through-out: the Mediterranean Harbour, Mysterious Island, the Mermaid Lagoon, Arabian Coast, Lost River Delta, Port Discovery, and the American Waterfront. 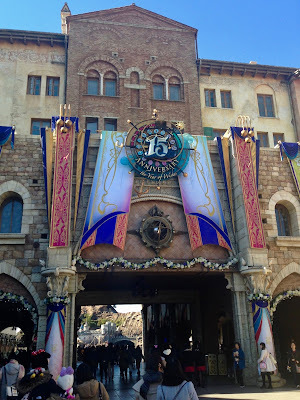 DisneySea was also celebrating 15 years of being open so it was definitely a fun time to be there. 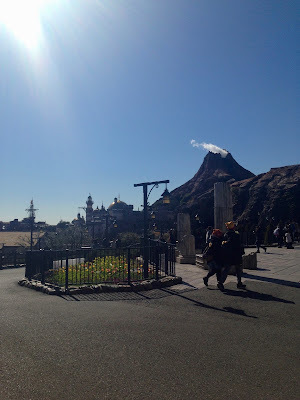 This giant volcano was part of the Mysterious Theme section yet we could see it everywhere we went. 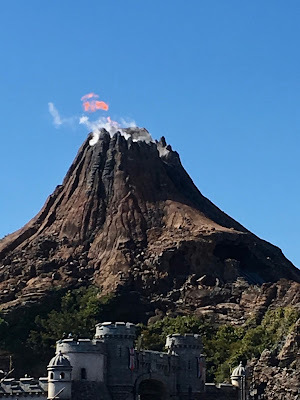 I am not sure how often it erupted, but we managed to capture some flame on camera. 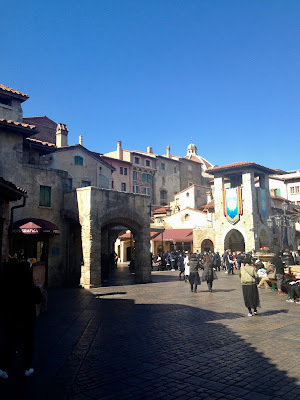 The Mediterranean Harbour was so beautiful to walk through. As we walked we came across two ladies trying to encourage people to come watch a show titled Out of Shadowland. With no real plan for the day, we figured why the heck not? And it was incredible! The set design and puppetry was absolutely stunning. 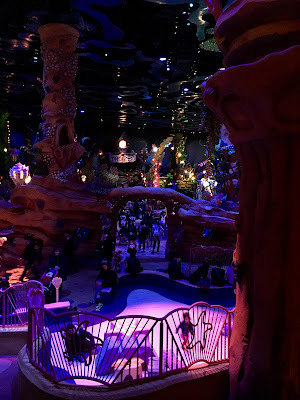 I didn't care if I didn't know 100% what was going on (I am still working on my Japanese, haha), but with the visuals I could easily track the story and fall in love with the fantasy world of Shadowland. 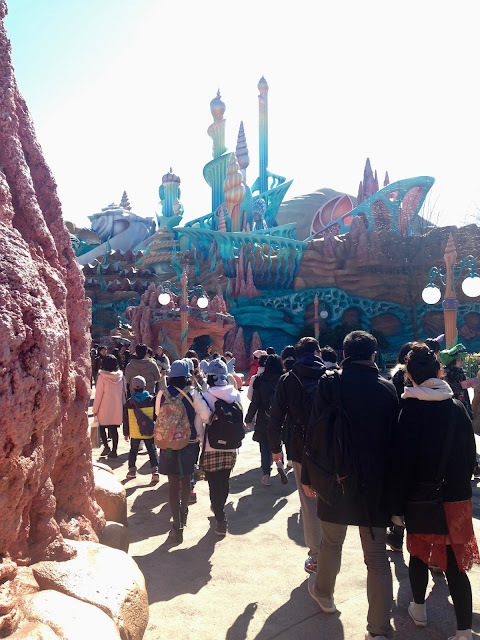 Next stop: The Mermaid Lagoon! 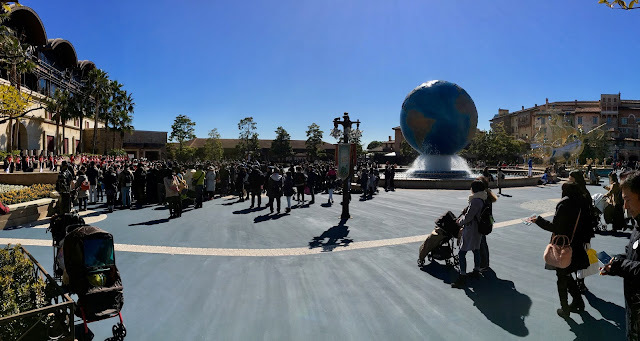 This was THE main reason we were excited for DisneySea particularly. Bug's favourite princess was Ariel (it might be Moana now) and we hoped that we could find and meet the Princess herself. 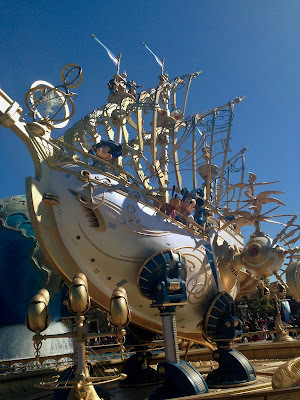 Bug and daddy waiting in line for her first ride at DisneySea - Flounder's Flying Fish Coaster. 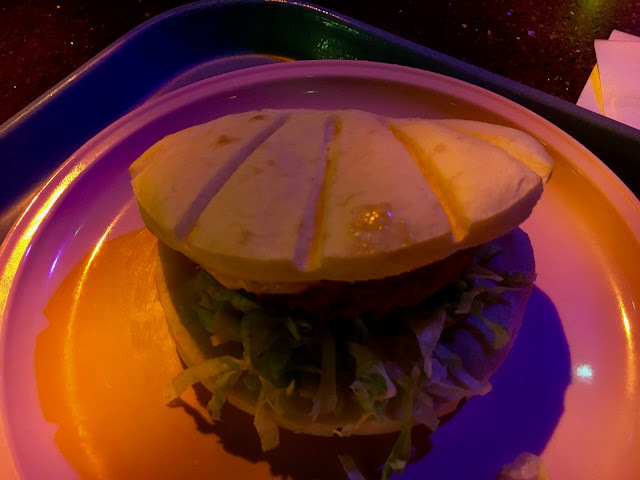 She told us that she liked it but it was a little too fast. We almost wonder if she is not a fan of the falling sensation. 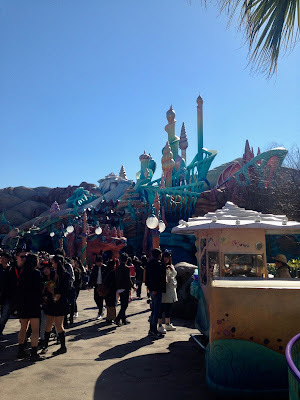 Ariel's Underwater Kingdom sparkled in the sunlight, and by walking down some stairs, we magically entered into the sea. 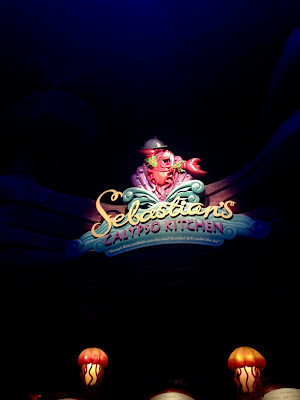 Everything was so dark, but there were bubbles and underwater creatures everywhere. 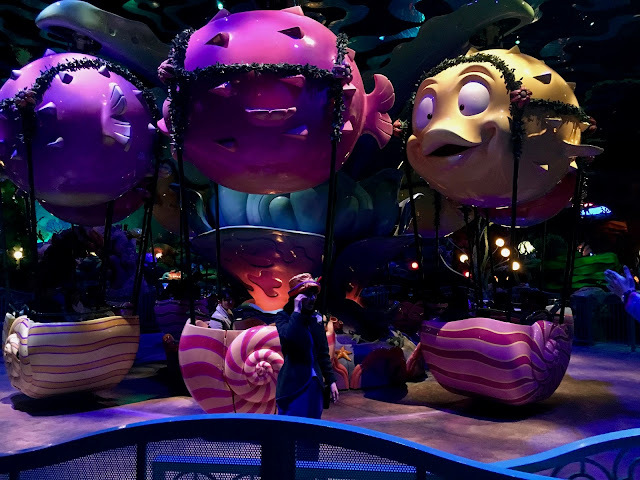 We went on two more rides: The Whirlpool (the classic teacup ride) and the Blowfish Balloon Race (pictured below). 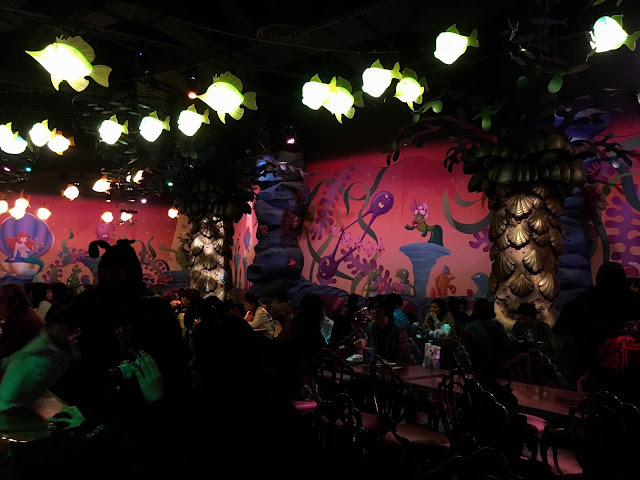 After the rides we headed to the Mermaid Lagoon Theatre and we watched Ariel sing in Japanese. 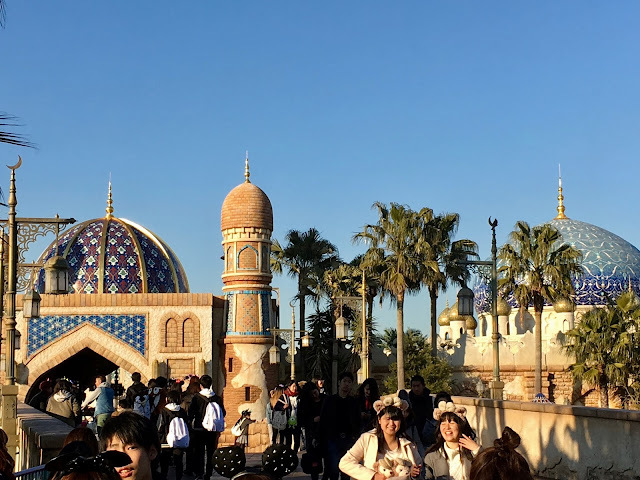 Due to it being a theatre I wasn't able to taking any photos, however you can take a look here to see pictures from the DisneySea website. We also found Ariel and took a photo with her, so mission of the day was complete. 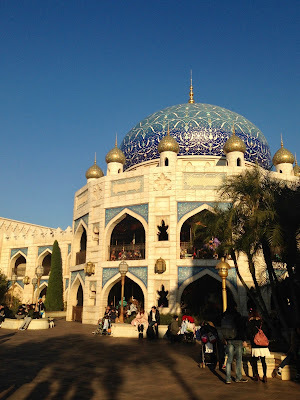 Then we headed off to another exciting part of DisneySea: the Arabian Coast. 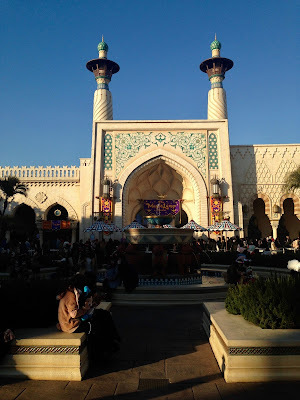 Sun setting on Agrabah! 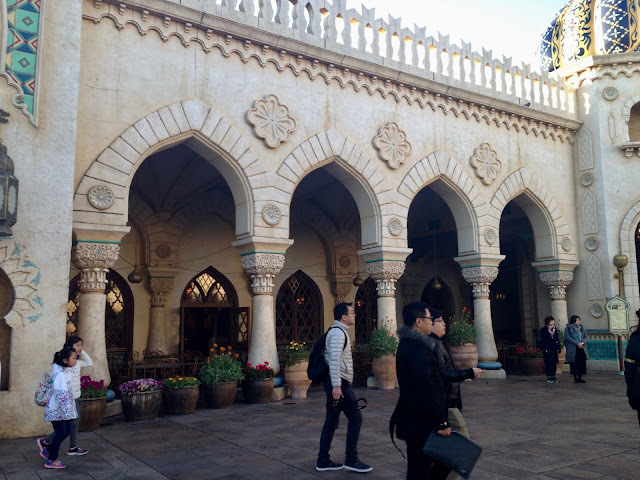 It was so neat to walk through. 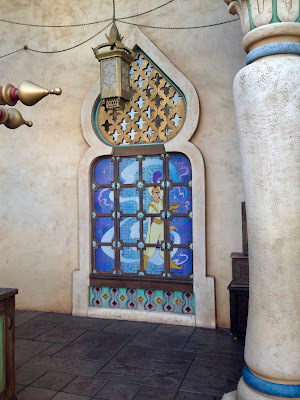 We even saw Jafar, but in true Jafar fashion, he refused to take a photo with us. We laughed. Of course he would be rude! All in all, it was an amazing first day to our Disney experience. Legs tired and hearts full, we made our way back to our lockers as the chill in the air made us miss our sweaters. 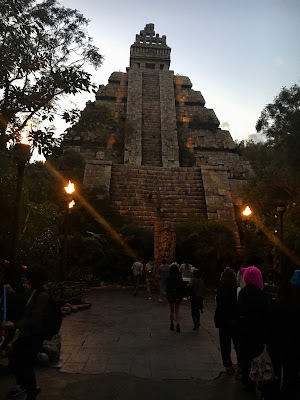 The next few photos were taken as we headed back to the beginning of the park. 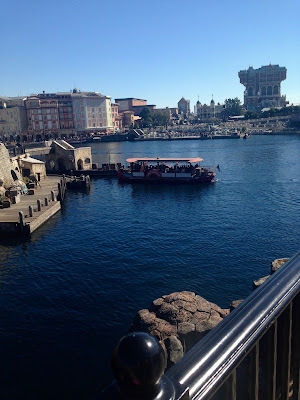 We definitely did not see or experience everything that DisneySea had to offer, but it was a blast. 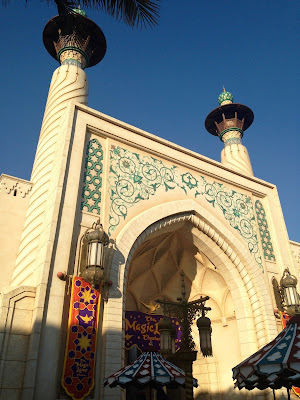 Hubs and I have already joked about how when we come back we are going to plan two-three days here so that we can actually see everything. 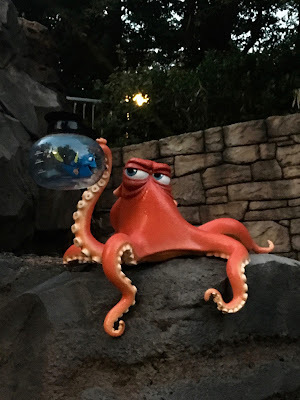 Even though I am sure we missed out on some fun, I really enjoyed being able to see the lights on everything as we walked past, making Disney an even more magical place to be. 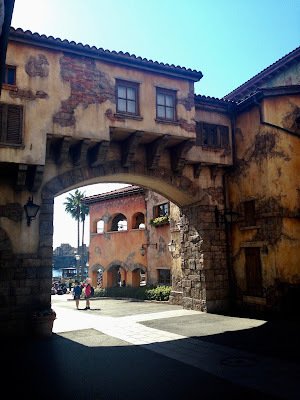 Have you ever been to DisneySea? I would love to hear your stories and know which parts you enjoyed the most. You never know, we may make it back there one day.